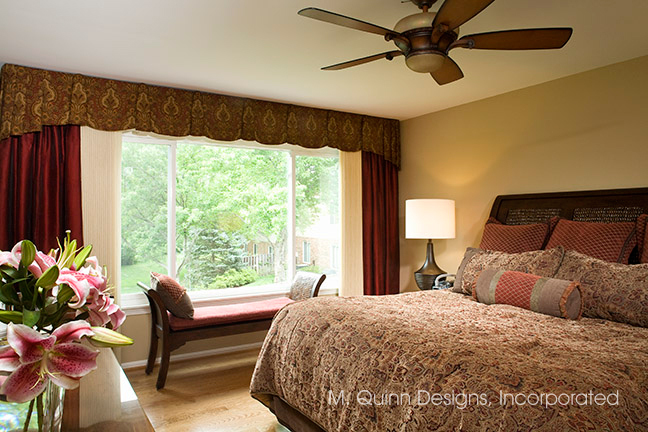 M. Quinn Designs was founded in 1985 in Minneapolis, Minnesota, where it provided residential, hospitality, retail and contract design services. The firm specialized in lighting design and energy-efficient spaces. It was the winner of an Edison Award for the lighting of Scholes Fine Art Showroom and an Illuminating Engineering Society award for the innovative lighting of Gloria Jean’s Coffee Bean, retail kiosk in Minneapolis. A second area of specialization is art curation as exemplified by the development of a French Impressionist art collection for the Embassy Suites Regency Hotel in Green Bay, Wisconsin. Other projects of note were the designs for the common spaces of Maranatha Homes, a senior living complex; the concept designs for the expansion of First Wisconsin Bank into the Minneapolis-St. Paul metropolitan area of Minnesota; and the Design for Kalika a compact retail space, which received a design award from the American Society of Interior Designers (ASID). Since establishing offices in Northern Virginia, M. Quinn Designs has specialized in residential design. 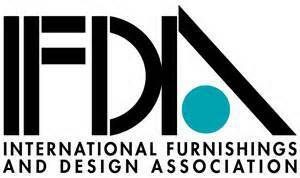 It was a member of the International Furnishings and Design Association (IFDA) team that designed and furnished the Kennedy Institute group home for adults with developmental disabilities. In 2007, the firm established the Pack-N-Move© service which handles lifestyle transitions, relocations, downsizing and adaptation of spaces to meet the resident’s individualized accessibility requirements. In June 2008, M. Quinn Designs completed the “Innovative Model of Living,” an efficiency apartment in the Vinson Hall Retirement Community of McLean, Virginia. The model illustrates the incorporation of accessibility features in a retrofit environment and the use of multiple lighting techniques to demonstrate how good lighting can mitigate the effects of some visual impairments. The firm’s vision is the incorporation of “Beautiful Accessibility” into its designs. 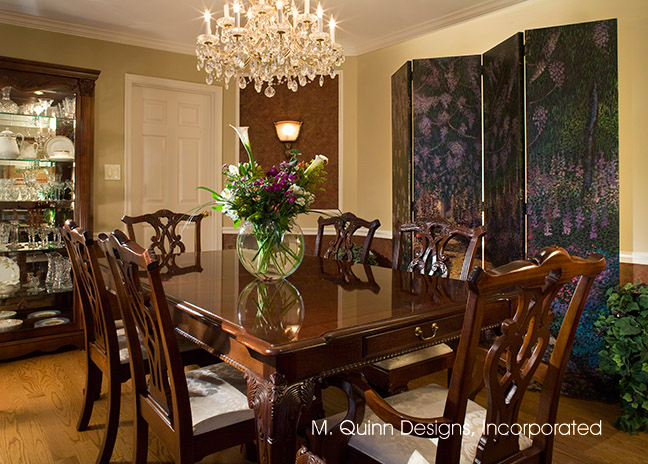 M. Quinn Designs is dedicated to providing the highest level of service to every client. 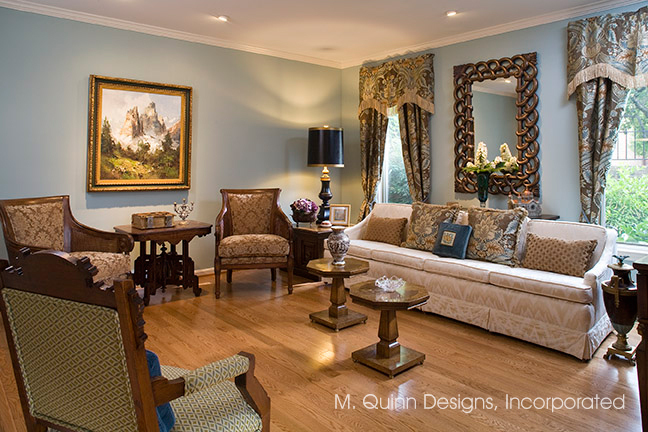 M. Quinn Designs is a full service design source. Every project starts with a thorough analysis of client needs based on over thirty years of experience in all aspects of space planning, design and construction. Emphasis is placed upon identifying and satisfying the customer’s expectations. Through the Pack-N-Move service, the M. Quinn Designs staff assesses the client’s existing situation and proposed new environment to determine how their current furnishings and accessories can be best utilized and how their personal effects can be efficiently and accessibly stored in the new space. Looking to the future, M. Quinn Designs plans to expand the Pack-N-Move service to seniors and emphasize the utilization of “Universal Design” concepts in the execution of its interior and lighting design projects.